Our standard D365 University course catalog offers all the classes needed by most organizations. However, we recognize that every business is different and that an organization may have specific and unique needs not addressed by our core curriculum. Choose from the a la carte menu below to get started. Once you’ve selected your course(s), give us a call to review and we’ll get your course designed and scheduled. For those who have never worked with CRM for Dynamics 365 before, this course helps participants understand its built-in functionality. Participants will learn how to access CRM and the differences in the interfaces of CRM via the web, Outlook, and mobile. After surveying the sales, marketing, and service processes in the application, participants will learn the basic navigation of the application, including how to search and view records, add activities and notes, and personalize options. Understand how CRM for Dynamics 365 supports the sales process from Lead through the close of an Opportunity. Participants will learn the business rules built into CRM and how the sales process is often automated. In this course, analytics will be briefly discussed in the context of sales, including reporting on the opportunity pipeline and goal management. Advanced use of the sales features in CRM for Dynamics 365 involves setting up the product catalog and using it for the forecasting of opportunities and creating quotes, orders, and invoices. This involves the discussion of product pricelists and discount rules. Learn how to use the marketing functionality in CRM for Dynamics 365, which includes marketing lists, quick campaigns, campaigns, campaign responses, email templates, and importing leads. You will examine the benefits of closed loop marketing and learn how to track the success and effectiveness of your marketing campaigns. Gain an understanding of the service management capabilities of CRM for Dynamics 365. Learn how to track customer issues, complaints, questions, and requests in the cases entity. Understand how using the subject tree and articles can help with organizing and resolving cases. This course will cover advanced uses of Service such as SLAs, entitlements, and queues. This course shows you how to use and optimize the Quick Find and pull Advanced Find queries. In addition, you will learn how to save Advanced Find queries as personal views and export Advanced Find results to Excel. 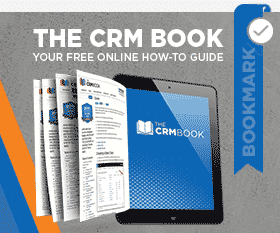 You’ll gain an understanding of out-of-the-box reports and learn how to use the Report Wizard to create custom CRM reports. Note: this course will not cover more advanced topics like custom reporting using SQL, SSRS, or FetchXML. This course module will review all the native Office 365 integration capabilities. Using a Dynamics 365 trial, participants will practice the setup, configuration, and functionality of SharePoint, OneNote, OneDrive, and Office 365 groups. This will cover the out-of-the-box capabilities as well as options for further custom development. Participants will also review the Microsoft Teams integration that helps tie it all together for seamless organization and search of all our connected applications. This course covers the exciting, online-only Dynamics 365 feature of Learning Paths. Use a unique tool-set to create custom guided walkthroughs of your Dynamics 365 environment, as well as customized sidebars with links to videos and articles right within the application to match your organization’s processes and tailored to specific groups based on security roles. Learning Paths provide a powerful tool for organizations to help users discover new features and become familiar with new forms or business processes that are unique to their company’s needs. Discover how Learning Paths can reduce training time and costs and enable team members to quickly become productive using Dynamics 365 online. This course covers the basics: when and how to use templates. You’ll learn how to set up and use templates for email, mail-merge, documents, and Excel. Learn how to set up and use duplicate detection, including duplicate detection settings, rules, and jobs. The CRM for Dynamics 365 Import Wizard will also be covered. Note: this training will not cover other importing tools, such as Scribe. This course is designed specifically for system customizers and administrators. Learn how to enhance out-of-the-box marketing functionality of CRM for Dynamics 365 with the PowerPack Marketing add-ons. Dive into PowerMailChimp, PowerEmail, PowerWebForm, PowerWebTraffic, PowerSurvey, PowerSocial, PowerScore, and PowerSMS to see how they work. Hands-on labs will give participants firsthand experience implementing these solutions while learning about the robust functionality they offer. This is a deep dive into the features of Dynamics 365 for Customer Service, including advanced features on cases, hierarchies, parent-child relationships, case merging, and auto-case creation. This course also covers how to implement Entitlements & SLAs, Queues, and Routing Rules. You will get a brief overview of how other customer service solutions, such as Microsoft Parature and Unified Service Desk (USD), augment or integrate with the built-in services features of CRM for Dynamics 365. Prerequisites: Intermediate technical knowledge, understanding of CRM for Microsoft Dynamics 365 navigation, and understanding of customer service teams and processes. Many organizations have users with extensive Microsoft Excel skills. That knowledge can be leveraged to create powerful analytics and stunning visualizations. In this course, we use labs and examples to explore how to feed CRM data into Excel, as well as many other data sources for deep insights into your environment. This module introduces integrations with Power BI using Power BI Publisher for Excel. Some functionality of these tools is only available to customers using Dynamics 365 Online. Prerequisites: CRM 2011 or more recent administration experience and intermediate knowledge of Excel. New to SQL Server Reporting Services? Need a deep dive into CRM for Dynamics 365 reporting? This course is full of hands-on labs, demonstrations, and sample reports to get you started and confident in your CRM SSRS report writing. Prerequisites: Intermediate technical knowledge. Knowledge of CRM for Dynamics 365 basic functionality is recommended. Experience with Microsoft SQL Database is helpful but not required. Modules 404 and 308 are strongly recommended to be taken together. This course will cover the end-to-end integration functionality of the Common Data Service (CDS). This includes leveraging Dynamics 365 for Sales, Unified Operations, and the Prospect-to-Cash apps. Participants will set up connections and connection sets, build projects, as well as practice execution, monitoring, and troubleshooting. Participants will also perform transformations, filtering, and syncing integrations. Learn about the benefits of using workflows. Discover how to create on-demand, real-time, and child workflows. Gain an understanding of the steps required to perform a successful business process analysis. This course also includes common scenarios when workflows are useful. It bridges into advanced workflow scenarios to show the breadth of what workflows can do. It is designed specifically for CRM for Dynamics 365 power users, system customizers, and system administrators. A common misconception is that dialogs are only useful in call center scenarios. While it’s true that they are commonly helpful in call center settings, there are many other uses as well! Learn how to standardize procedures and utilize dialogs. This course shows you how to create dialogs and describes specific examples of when they are helpful. It takes you from the basic use of dialogs into how to incorporate workflows into dialogs and create child dialogs. It is designed specifically for CRM for Dynamics 365 power users, system customizers, and system administrators. Understand how business process flows work, best practices for creating process flows, and how to create process flows for your organization. This course discusses how to modify existing process flows, deactivate unused process flows, associate process flows with security roles, and roll out and implement process flows. Advanced processes such as branching processes and processes that go across entities will also be discussed. It is designed specifically for CRM for Dynamics 365 power users, system customizers, and system administrators. Learn about CRM for Dynamics 365 administration. This course gives you an understanding of the different duties of an Administrator, such as adding users, setting up teams, and using security roles. It also covers system settings. It is designed specifically for system customizers and administrators. What’s Different about CRM for Dynamics 365 Reports? This course covers the nuances of reporting with CRM for Dynamics 365 for experienced report writers. CRM reporting has several unique and robust features that enable a rich report-consumer experience. This class explores those hidden gems and how to leverage them within your organization. It is a deep dive into Power BI but does not cover SSRS external designers. Prerequisites: Intermediate or Advanced technical knowledge. Knowledge of CRM for Dynamics 365 basic functionality is recommended. Experience with Microsoft SQL Database is helpful but not required. Need to take your Microsoft SQL Reporting Services report authoring skills to the next level? This class is a deep dive into SQL and FetchXML reporting required to support your report consumers. Understand the core components of the CRM for Dynamics 365 installation, including the CRM Server, Email Routing and Server-side Sync, and Outlook client. Discuss at a high-level the server infrastructure administration, such as capacity planning, benchmark tests, performance monitoring, and maintenance. Prerequisites: Advanced technical knowledge in server administration, as well as knowledge of Dynamics 365 administration and customization. CRM for Dynamics 365 Online Administration continues to be more complex as the suite of products becomes more robust and integrated. In this course, we dig into the options and features of CRM for Dynamics 365 Online Administration, leveraging the sandbox functionality for training and testing. This class demystifies the setup and delivery of the Power BI suite from an administrator’s perspective and covers how these powerful reports are deployed to your CRM and SharePoint environments. Other topics include options for Data Replication and integration to local resources for further analysis, SharePoint integration, and OneDrive. Portal administration is slated to be 4 hours and O365 Integration another 4 hours covering SharePoint, OneNote, OneDrive, O365 Groups, and Teams. Prerequisites: Intermediate or Advanced technical knowledge, as well as knowledge of Microsoft Dynamics CRM basic functionality, administration, and customization. Participants in this hands-on course will understand the basic concepts of integration, as well as how SSIS can be used to do data migrations and build integrations. It is designed for participants with no SSIS experience and is aimed at helping students get the basics of SSIS and seeing something in action. Prerequisites: Knowledge of CRM for Dynamics 365 basic functionality. Intermediate or Advanced technical knowledge is helpful. Participants will understand the basic concepts of integration, as well as how Scribe can be used to do data migrations and build integrations. We will also cover when Scribe can be used as a solution and when there are other ways to build integrations. Prerequisites: Knowledge of Dynamics 365 basic functionality. Intermediate or Advanced technical knowledge is helpful. Experience with Microsoft SQL Database is helpful but not required. Understand the xRM application framework, the platform layers, security model, and business logic. Learn common platform operations such as WCF, discovery service, and classes. Understand authentication, authorization, querying data, and executing operations. Prerequisites: Advanced technical knowledge and experience with custom development. After an overview of plug-ins, this course covers the event framework, plug-in isolation, trusts and statistics, how to develop plugins, impersonation with plugins, and entity classes. Participants will complete a lab in which they create, register, deploy, and debug a plug-in, as well as learn how to create custom workflow activities. Don't Want to Design Your Own? View Course Catalog! Expand your product knowledge through Dynamics 365 University's standard course catalog offerings. These courses cover out-of-the-box capabilities and hands-on labs.